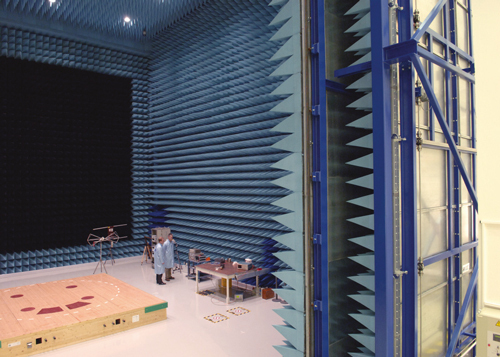 The Maxwell EMC Facility is dedicated to electromagnetic compatibility testing and electrostatic discharge testing on small to large test articles. The chamber consists of a shielded enclosure with continuously conducting metal walls, floors and ceilings. 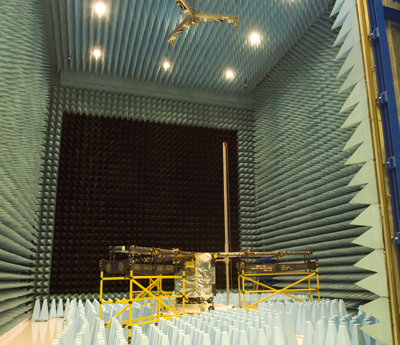 The ceiling and the walls are equipped with anechoic absorbers (absorbers on ceiling are sealed for cleanliness) to attenuate the reflected electromagnetic energy. The floor is lined with ferrite tiles and coated with a special epoxy avoiding electrostatic discharge. 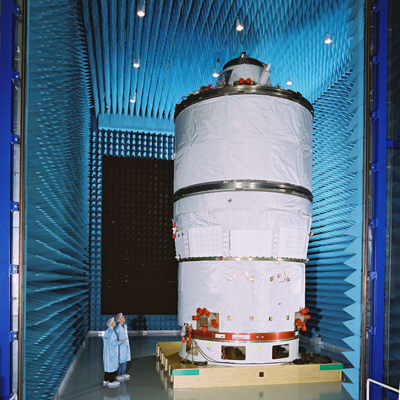 One wall is equipped with air-cooled high power resistive absorbers for auto compatibility testing and PIM testing. Emission and susceptibility testing is fully automated which avoids modulation and overload problems and saves important time.